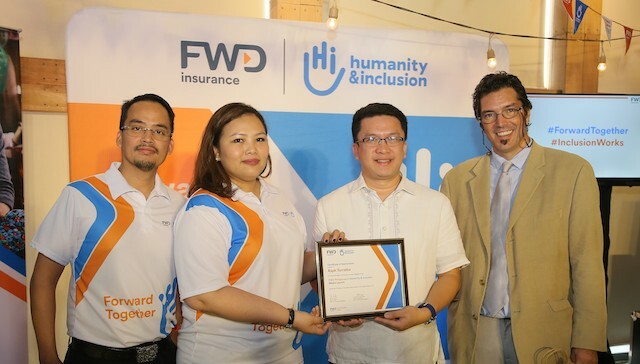 Pan-Asian insurer FWD Life Insurance, together with its partner Humanity & Inclusion (formerly Handicap International, an independent international aid organization), celebrated the beginning of the Forward Together project, where both organization pledged to help young people with disabilities find more employment opportunities in the Philippines. 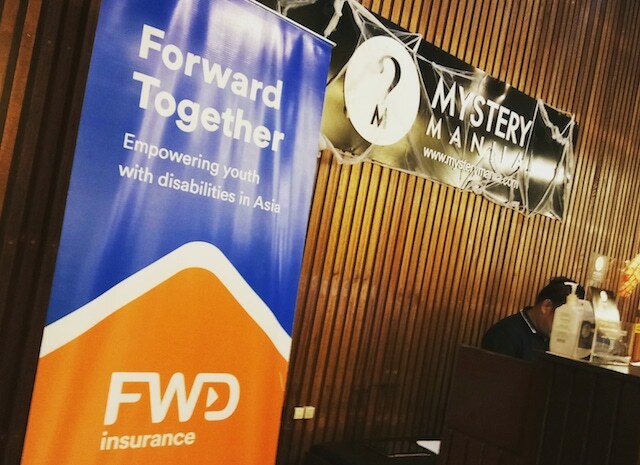 Last week, FWD Life Philippines and Humanity & Inclusion hosted the Forward Together project media event with an interactive visual language activity and Mystery Manila escape room challenge. It was participated by FWD volunteers from both organizations and members of the media at Century City Mall in Makati City. Guest of honor Raphael Torralba (third from left), DFA Assistant for Programs for PWDs receives a plaque of appreciation. “FWD Life Philippines aims to end the stigma that disability corresponds to inability. Through our partnership with Humanity & Inclusion, we hope to provide a platform for people with disabilities to showcase their strengths and abilities. We want to encourage everyone to help create a future with a difference for people with disabilities with opportunities to become valuable and equal contributors to the community,” FWD Life Philippines President and Chief Executive Officer Peter Grimes said. The activities that afternoon highlighted the creativity and “ability” of our handicap friends and how they can help the community despite their condition. 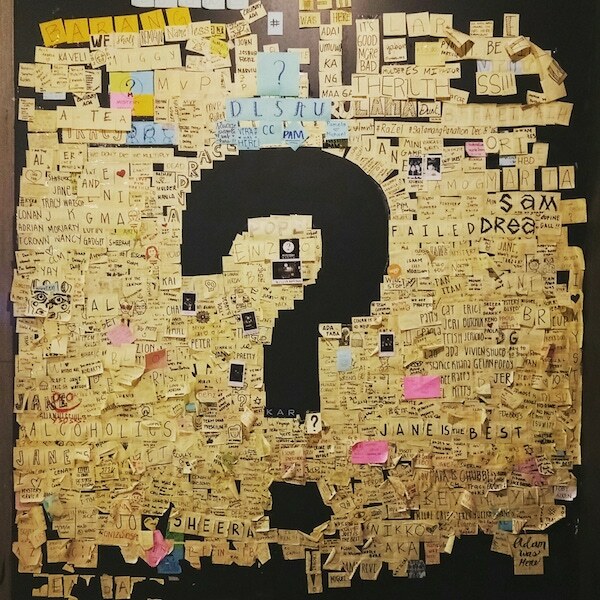 What will you do if….. ? “Developing countries are encouraged to invest in youth, but unfortunately, young people with disabilities are usually overlooked in employment and entrepreneurship opportunities. That is why we are very delighted to have such strong support from FWD Group in our advocacy of improving the lives of youth with disabilities. Through this project, we will work with selected employers – including FWD Group – across the two target countries to improve their capacity to employ youth with disabilities,” said Bryan Andrew Marsalis, Humanity & Inclusion Regional Operation Coordinator. “At FWD, we are committed to promoting social inclusion and active participation of persons with disabilities, and are very excited to kick start our work with Humanity & Inclusion. 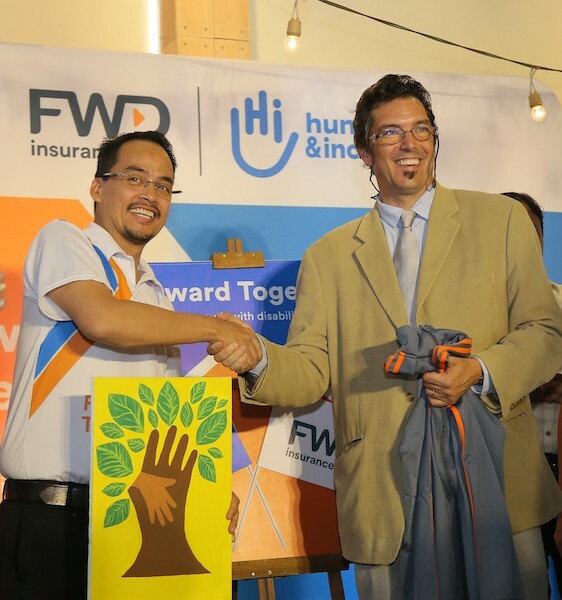 With the Forward Together project, we are enabling businesses and organizations such as ours to become catalysts for quality job creation,” said FWD Life Philippines Head of Marketing and Community Care Country Lead Roche Vandenberghe. 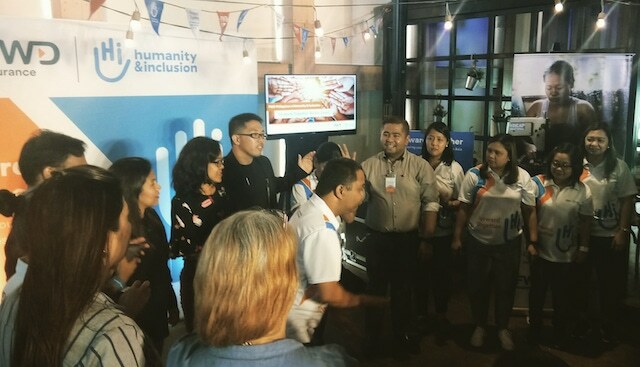 Through the regional partnership initially announced by the insurer in the first half of 2018, both organizations will work towards advocating equal opportunities and empowering people with disabilities in Asia. With FWD Group investing US$ 1 million, the Forward Together project will train at least 380 youth with disabilities in the Philippines and Indonesia and help them secure sustainable employment or business opportunities. Celebrate life and style from Blogger Manila through email subscription here. Like our Facebook Page, Twitter @BloggerManila, and on Instagram. 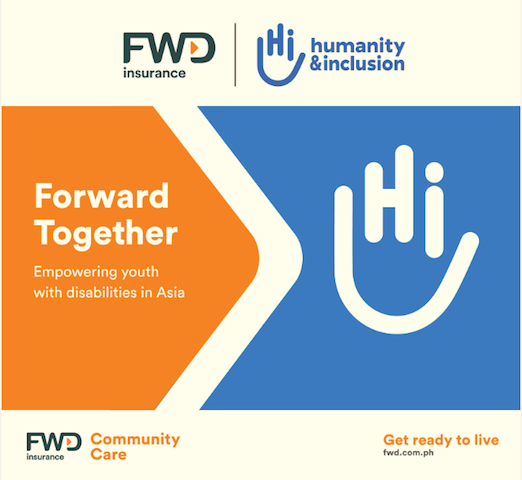 Congratulations to FWD Life Insurance and Humanity & Inclusion in this Forward Together project that will benefit many of our handicap friends and members of the society.